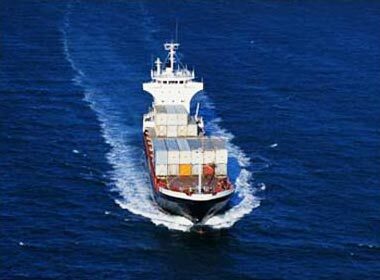 Robina Shipping & Trading company based on the permission No 34465 of PMO (Iran Port and maritime organization) organization was established to offer its legal transformational import and export services from all around the world. Our services include: Marine, land, air and rail shipment, forwarding services, stuffing and stripping, RO-RO container service, bulk stuffing and storage, product packing and release in all customs and also commercial services. We are determined to find a stable place in our country’s international transportation field. This company is equipped with the best facilities and over sea agents in multiple countries including UAE, China, Malaysia, Taiwan, India, Austria, Germany, Italy, Spain and Turkey by utilizing cutting-edge achievements and indicating competitive rates in sea shipments. We created a secure ambience for our customers beside fast and organized services from all ports to and from Iran. Import & Export container services in both FCLLCL. 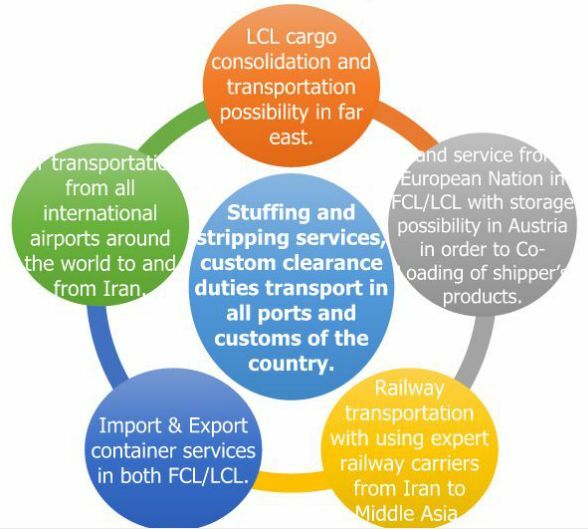 LCL cargo consolidation and transportation possibility in far east. Land service from European Nation in FCLLCL with storage possibility in Austria in order to Co-Loading of shipper’s products. Railway transportation with using expert railway carriers from Iran to Middle Asia. Air transportation from all international airports around the world to and from Iran. Stuffing and stripping services, custom clearance duties transport in all ports and customs of the country.